Cornwall Iron Furnace, Cornwall, PA, circa1900. 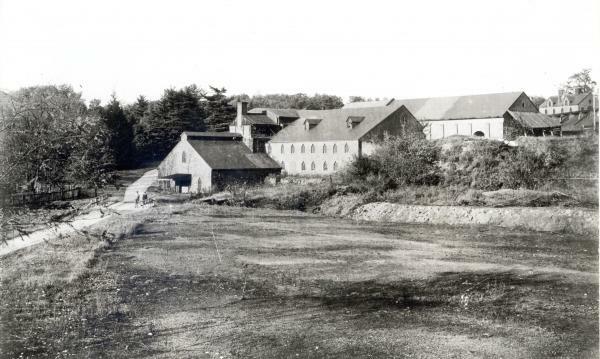 In operation since 1742, the Cornwall Iron Furnace closed in 1883. In 1932 the owners presented the buildings to the Pennsylvania Historical and Museum Commission, and is now part of a National Historic Landmark District open to visitors.